Who are you? What is Hazard Records? 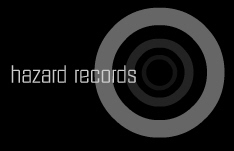 Hazard Records is an e-label (and former CDR-label), based in Barcelona and running since 1998. That makes it one of the oldest netlabels around. Some of us do not believe in Authorship, others do not believe in Ownership. None of us believe in Intellectual Property. Can I use your music in my film / documentary / video? Can I sample from you? These are the million dollar questions. Quite literally, in fact, since there is a lot of money involved in copyright. As we stated in our 1999 manifesto, "HAZARD RECORDS wants to be in the PUBLIC DOMAIN, i.e., COPYRIGHT FREE". However, we added: "This is valid in both senses: we will not be concerned with the hypothetical legal source of the content of our records and we will not question in any case its future use in other contexts (nevertheless we will be grateful if it's quoted). However we warn that for the same reason for which we will not be concerned with the legal source of our records, we won't respond to third parties that believe in having rights over the ideas contained in them nor to judicial decisions over same." What we meant is that whatever you do with our music, we will not sue you. However, copyright is a muddy battlefield where things are not always black or white. Furthermore, things have changed a lot since we wrote the manifesto. That was last century. Therefore, if you want to use your music but you are worried about the legal issues, you probably should contact us before (see below). How should I link to you?